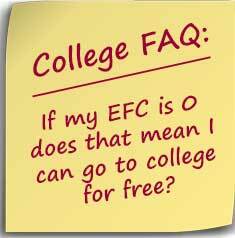 Unfortunately, the answer for most students is “no.” There are several issues in dealing with your EFC. The first is that the college you attend may not agree with the federal government’s calculation of EFC and determine students’ need by its own formula. In these situations, the student would be eligible for the maximum amount of federal financial aid but not necessarily aid from the school. The amount of federal aid is limited to a combination of grants and loans you have to repay. The second issue is that most schools considered need-based loans such as subsidized Federal Direct Loans as need-based aid because the government is paying for the interest while the student is in school. Therefore, with the exception of a select few generously endowed institutions, the majority of colleges will expect students to take out the maximum amount allowed in federal student loans. College work-study programs often fall under the same situation. Because work-study is funded by the federal government and the school, many schools classify it as need-based financial aid although it is money the student must earn. The third issue is that many schools “gap” student aid. Some schools simply do not have the funds to meet the financial aid requirements of all students while others choose to fund more merit aid programs. In either case, students do not receive the full amount needed to meet demonstrated need and will have to find aid elsewhere, usually in the form of private student loans or parent loans. 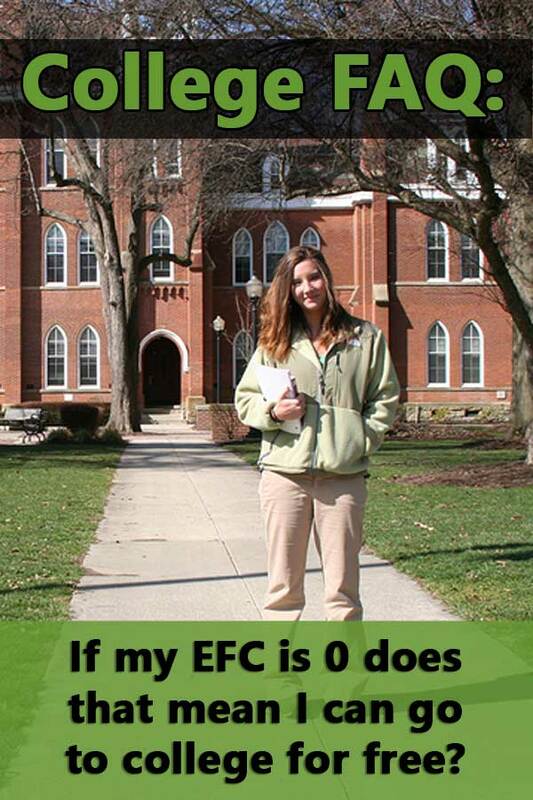 Students who have an EFC of 0 should target schools that state they meet 100% of demonstrated need. Unfortunately, these are some of the most competitive schools in the nation. This also means that families need a reliable estimate of their EFC long before the student actually starts applying to schools.